Today’s businesses face a deluge of reports, legal documents, resumes, instruction manuals, customer feedback, and other documents. 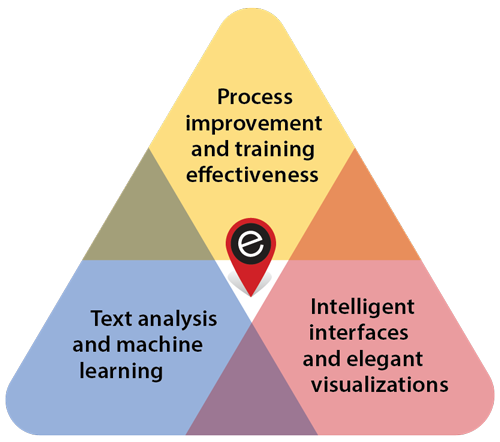 Eduworks language processing and AI technologies can analyze and pre-process documents in ways that translate into cost savings, better results, and reduced risk. Our technology can classify and triage documents, identify whether and where specific issues are addressed, and match documents based on their meaning. Our solutions wrap this underlying technology in customized business logic and user interfaces that fit into your business processes and that support your staff and their decision making. Find out how an Eduworks custom solution can help improve your bottom line.